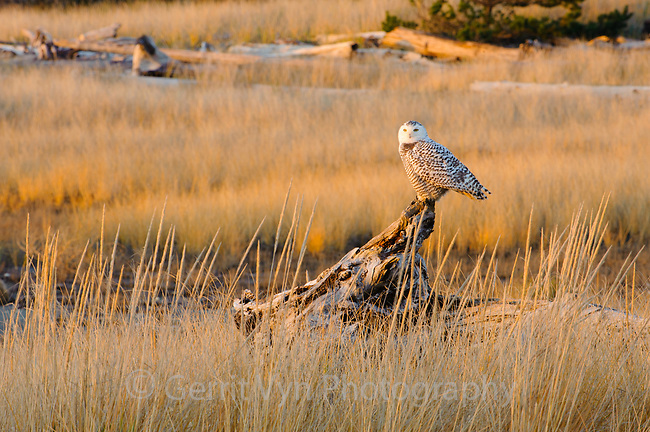 Snowy Owl (Bubo scandiacus) still hunting from a prominent perch just before sunset. Grays Harbor County, Washington. December.